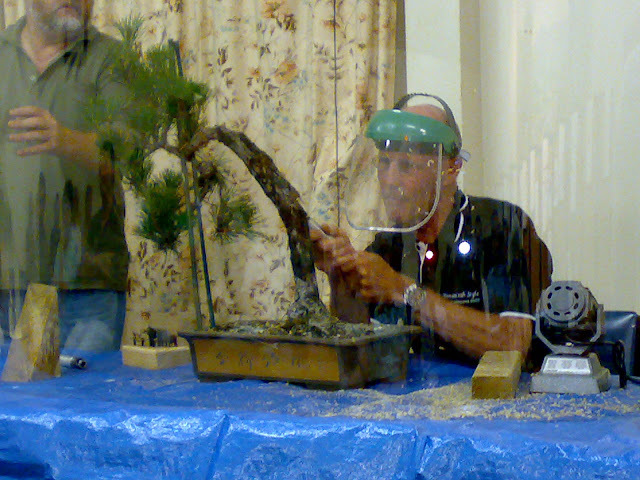 Tonight’s meeting was a workshop night. 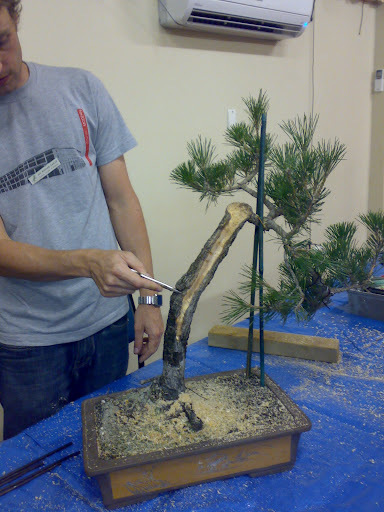 We had a strong turnout with a range of trees brought along to be worked on. 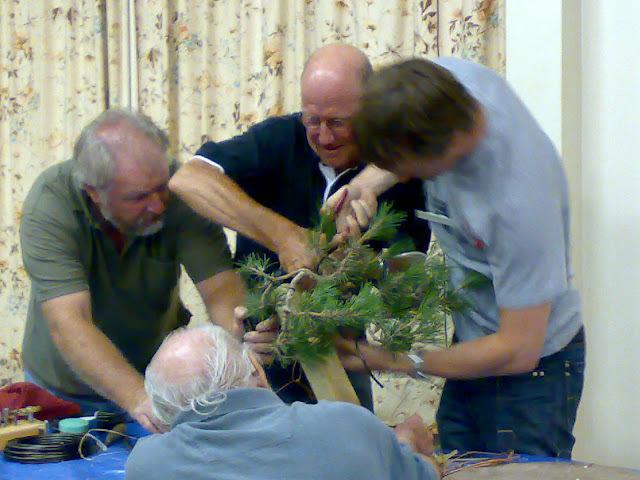 Members with ‘ask me’ tags on were present to lend a helping hand and to provide advice on what direction the tree should and or could take. It was a busy night full of activity. Photos below. 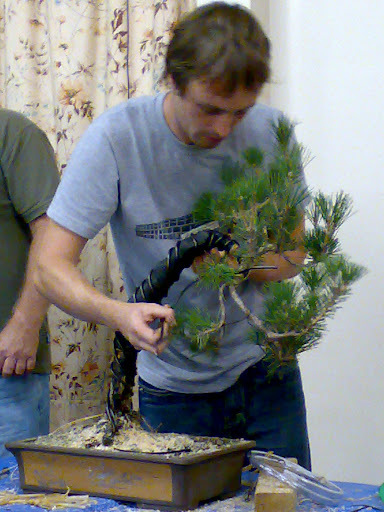 Well, our first meeting for 2009 got off to a great start with a major piece of surgery and styling being performed on a Japanese black pine. 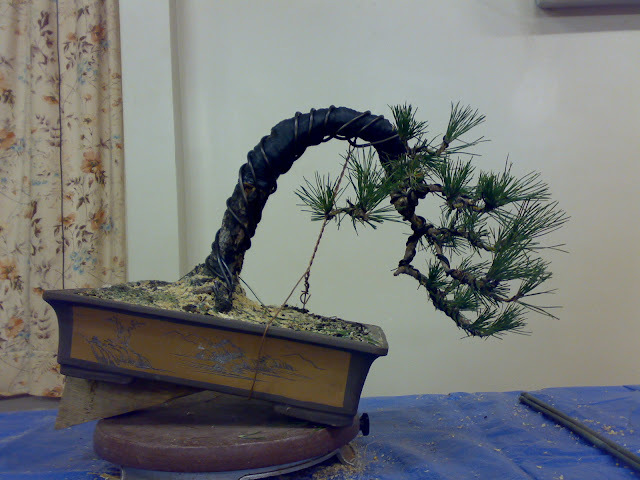 A piece of ordinary stock with many faults was carved, bent and wired into a form that was much improved. It was a drastic operation that is rarely seen at demonstrations. What a great start to the year and hopefully a taste of things to come! before in a wet towel to increase the barks flex ability. 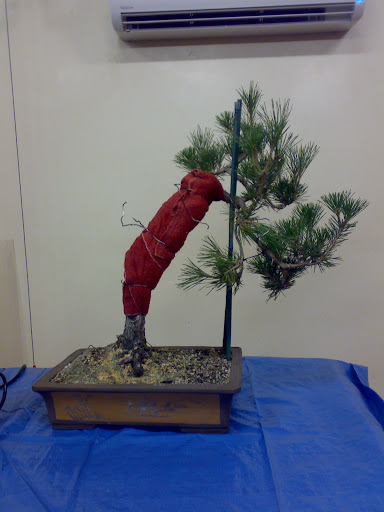 and also to make the trunk more flexible…. …it was then wrapped in raffia and rubber …..